Uhh that sounds interesting!! Hope you get it!! No worries, real life comes first! Good luck! Thanks for the well-wishes guys Sadly I did not get the job, only because one other person was looking to further their career in that sector and even had a degree. However I was told that I am well suited for the business as a whole and they're keeping my details on file for potential openings in the future So not all bad. Thanks Kamalia for the awesome sig! Avatar by me! Check out PetEmote here! 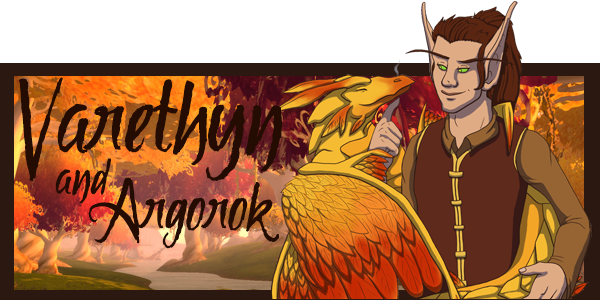 | Visit my Flight Rising lair! Stockpiled towards getting Vunguza Morph. No story entry as yet as Fridays are not good writing/art days. However it's been some time so I intend to sit down and get something posted for you guys over the weekend. I will however be skipping those days. Reminder that Makani is still available! Luckily for him I am splitting the recent events into two posts so he has until the next entry or else he will be exalted. no no no you are not allowed to exhalt a fully gened gen one.. if you cant get an owner for him hubby will hold him and maybe find him an owner--- Hubby is olddragons on fr..
Disclaimer! I attempted to give Vunguza something resembling a Scottish theme. I spent some time researching as I do not claim to know Scottish accents/words/phrases too well but I apologise greatly in advance if I do offend anyone. Also, while the idea was the other dragons would also be confused, do let me know if you would prefer I not do that and give him just a theme rather than going all-out with it. There were arguments. There was almost a fight. There was a lot of yelling and teeth and claws and things being thrown. Matar was not in the least bit amused by Vin's decision to keep a Serthis hostage, even though he was adamant in claiming it was not hostage. Whatever the true reason was ended up lost as both sides stormed away huffily, the Spiral beckoning the snake-man to follow. With those two discussing something between them and the Coatl fuming to herself at the water's edge the rest of the group was left to their own devices. What was left of it. An almost deafening silence had fallen on the Serthis camp after the fight, the only sound other than objects being moved with the occasional clink of glass was Isaura's sobbing. The Guardian had been given space as she grieved for her lost friend while Makani and the white Wildclaw cleaned up around them. One thing was for sure, outcast or not these Beastclans knew how to keep a good stock of items: herbs and potions and tonics and poisons were of course prominent but also antitoxins, food supplies, various tools and other items pilfered from dragons and other unwelcome passers-by. Most precious of all it turned out they had gone so far as to raid nests as two pristine dragon eggs sat in a bed of straw and cloth. Both were green but that was where the similarity ended; one was more membrane than shell with the contents visible, though unclear, through the skin-like layer. The other was solid and patterned with darker green swirls. “Why would they take eggs?” Makani found himself asking as he admired the eggs. Something cracked under his paw as he leaned forwards to get a closer look at the Plague one, looking down to find himself standing on shattered shell. Seems there used to be more. “I've heard tales,” the Wildclaw responded, her anger long since subsided and leaving her in a kind of hollow state, “that Beastclans pilfer dragon eggs whenever the chance arises. Some clans do different things with them, even among their own species.” She was busy gathering up the rope that had tied them all down and placing it in a neat pile next to the group's own, if diminished, supplies where she'd already moved some of the food. The Fae sat back on his haunches, staring up at the female with his large red-green eyes. “What do they do with them?” Had he the capability his voice would have quivered in worry. His splayed but down-turned fins did instead. The Wildclaw seemed taken aback by the statement. “You're so young. How do you know about death?” Indeed she'd expected to hear him piping about why the grey Coatl wasn't getting up and why the red Guardian was so upset. Makani nodded slowly, turned away for a moment then flitted up to perch on top of the Wind egg, curling his long tail around its contours. They both sat in silence as minutes drifted by. Further away Sora's sobbing had receded into soft sniffling though she still lay by her fallen friend. “I'm Noelani, by the way.” the now-named Wildclaw added after a moment. Maki puffed up a little at being talked to like this. “I'm Mak'ni. Or Maki. That's my mother, Matar,” he pointed at the sulking pile of red feathers, “that's Izara and... Russ,” he pointed at the grieving Guardian and the deceased Coatl she held, “and over there is Fin.” he finished pointing at Anvindr. Noelani nodded at each mention, keeping the names in mind. Particularly Matar and “Fin”. She parted her jaws to reply only for another, gruff voice to cut in. “I's nice 'n all that yer getting' ta know each other, but might'n ye quit yer bletherin' an' help a dragon oot?” Both of them shot to their feet, twisting their necks around to spot the owner of the voice. “O'er 'ere ye daft lot!” Eventually the pair found the origin of the voice: What had been discarded as a pile of clothing was actually a Snapper, bound in a similar fashion to how they had been not long ago. Noelani and Makani exchanged confused glances. What were these strange words? Shrugging they continued to free the odd dragon. As they did so none of them managed to notice a small purple-and-green shape land in a tree behind them, scribbling furiously on a notepad. What made them finally notice that they were being watched was the sound of strings being plucked and a soft voice sounding out words and sentences in time with the music, followed by a sigh of exasperation. “Ahoy there!” the Snapper bellowed, making Makani and Noelani cover their ears at the closeness of the loud call. Under his breath the Snapper muttered, “Oy, she seems a right bampot that one.” The Wildclaw shot him a disapproving glance before moving between him and the newcomer. “Unfortunately this is neither the best time nor place for such a thing.” She clasped her hands together and bowed apologetically, starting a bit when Camelia did the same. Oh, of course. Nocturnes enjoyed mimicking others. Feeling a little bit silly for forgetting that obvious trait she continued, “You see I myself am a traveller seeking aid from this group and we found ourselves attacked and ashamedly subdued by Serthis. We were able to escape and fight them off but that has left us tired and potentially irritable.” Her talons tapped against the grass as she said this. Whatever other conversation was to be held between the four dragons was cut short but a shout from Vin's direction. Makani was first to scamper over followed by Noelani. The Snapper and Nocturne shrugged at each other, mimicry or not, and headed after them. When the group arrived they found both the Spiral and the Serthis attempting, and failing, to hold back a rather short, purple and cream-coloured Wildclaw with impossibly large green wings for his stature. In his claw was one of the vials Vin always carried with him, the other a container belonging to the Serthis, both containing different coloured liquids. “Unhand me!” the Wildclaw demanded, shaking off the two serpentine creatures and bringing the first tube to his lips. “What the heck do you think you're doing? !” Noelani shrieked, racing forwards and slapping the glass object from his grasp. It hit the ground and, while it did not shatter, the liquid poured out over the grass and sizzled. Everyone simply stared in utter confusion. Camelia slowly reached for her notepad and wrote something down as she observed the grass. “Ssso that'sss what that doesss...” the Serthis hissed contemplatively, taking the vial from the panicking Vin, who was trying to slide the instruments away, and staring at the remains of the concoction. “A name would be a nice start.” Chided Matar as the Coatl finally decided to join the kerfuffle. Immediately his mood changed and he bounced to his feet to give an even more exaggerated bow than Camelia had previously. “My name is Shadow, but a shadow I refuse to be! Oh no, I once was a dark purple Spiral not dissimilar to your alchemist friend here. But how I hated it! Hated, hated! I watched other dragons go by with their magnificent colours and stride! Especially the Wildclaws. How I so wished to be a brightly coloured Wildclaw! That madman Baldwin, he started it. He found the way to turn us into Bogsneaks,” he basically spat the word, clearly not being a fan of the mutant species, “so maybe, just maybe he could do something to me. And look at me now!” Shadow stood as tall as his stature would allow, almost toppling over as he fanned his too-big wings. The Snapper whispered to Makani and Noelani, “Forget what I said aboot yon Nocturne lass, this un's more of a screwball than any else I be seein'.” Ilmatar lifted an eye ridge at the other two, who shrugged. “So what you're saying,” Matar butted in before Shadow could continue his tirade, “is that you're trying to poison yourself just so you can change the colour of your fur and wings?” She frowned, completely sceptical of these claims. “If we give you sssomething that makesss you change will you ssstop complaining and leave?” the red Serthis asked, barely masking his annoyance at the intruder. Already he had slithered over to the pile of herb bags, rummaging through each for useful ingredients. “And if you're not?” Matar asked flatly. “Then I will have to stay until you do.” he replied matter-of-factly. Unfazed the Serthis nodded, taking his choice of herbs, two of his vials and one of Vin's tubes and began mixing. Anvindr perked up, coiling up to watch with interest. Time dragged as different solutions were poured, mixed together, tested and either discarded or used for further testing. The odd band of dragons discussed various things to pass the time, not least of all Noelani introducing herself and apologising to Matar but also her and Makani explaining the Snapper, who let out that his name was Vunguza and how he was actually, despite his current demeanour, quite pleased to have met them all. Just as he was about to explain why this was the Serthis and Vin returned, each carrying glass containers of sloshing liquids, all of different shades and colours. “We can't guarantee there won't be other ssside effectsss however.” The Serthis added drily. All too quickly Shadow snatched the proffered vials, guzzling the contents greedily. Then he gasped, staggering back as it took effect. The alchemical pair had done wonders it seemed, as the brew proved potent enough for a very quick change. As Shadow clutched his stomach his hide darkened, cream becoming blue. His wings, once pale green, also became darker, purple. Most notable however was his underbelly, which had become a rather off-putting shade of brown. Catching his breath he made his way down to the river to admire himself, only to wail in despair, charge back and quaff another vial. “I don't think he liked that one.” Noelani chuckled, amidst a chorus of chuckles and snorts. The same effect took him, this time turning him a sickly green with red wings and pale belly. Another cry, another tonic chugged. This time a rather pleasing pale blue and lavender. Noelani actually crooned, the others nodding in admiration. But no, it was still not enough for the narcissistic Wildclaw, who grabbed two more of the remaining vials and drank them together. Not a good decision it turned out as he became a very unfortunate yellow dappled with blue spots and grey-ish wings. Amidst the snickering, chortling and whimpers of frustration was the scratching sound of quill tip on paper as Camelia took in everything. So many pages had been flipped over to contain the ideas, the things said, the reactions and of course the different colours. Her tongue peeked out from her mouth, pressed over her upper lip as she continued to scribble. “I dunno, you look pretty nice to me.” Sora commented, having made herself join the others after all. Her face was still streaked with dry tears and she appeared exhausted. “Nice? Nice?! I cannot merely be nice!” Shadow wailed, waving his arms in dismay. A chorus of agreement as everyone gathered around the pile of sacks and boxes containing an assortment of food types. Shadow, unsurprisingly, couldn't hold much down with everything else he'd ingested so far, taking several bites and then laying down. Camelia had to practically be force-fed as she tore through a second notepad. This time it seemed she was writing actual lyrics and working out the best timing, rhythm, order of how her new ballad would go. It took a lot longer for the Wildclaw to recover than first thought, and so everyone pitched in to haul the goods and eggs to the safety of the cave they'd been in, which thankfully wasn't as far away as they'd imagined. Then again, it wouldn't have been easy for a group of Serthis to drag down a full-grown Coatl and a mid-sized Guardian. The night passed uneventfully. When day broke they indulged in breakfast. Or most of them did – Camelia was still asleep having passed out from too much writing. Once finished they returned to the camp and dug out a small hollow near to the river in which they lay the body of Eurus. Sora cried again and they all paid respects despite how little they had known of him. Everyone waved to him as he climbed over a hill to wherever he was headed next. “Psst, do you think having consumed all that stuff will have an effect on him?” Sora asked Vin and his Serthis familiar. Both of them cracked wry grins. Sora blinked, then looked up at the departing Wildclaw who, as he disappeared over the ridge of the hill, began his newest, unintended transformation. “We'll consider it, if we're ever in the same place.” Matar agreed, nodding in approval. Though if it were genuine or not it was hard to tell. “Speaking of, where had my subject run off to? There are a few things left I want to add if only I could find the correct way of describing it.” Her eyes widened when it was explained that he'd already left. “Oh no! I must fly to catch up to him!” She hastily crammed a few large insects into her mouth and more into a bag and set off to follow her subject. “You might find he's another colour by now!” Noelani called after the bard, who waved in response as she too vanished over the hill. Some of her notes fell out from her pouch in her rush. Curiously Makani picked one up to read, then passed it around for everyone else to see as he picked up the next. There was actually some potential in what was written. Maybe one day they'd see the strange little Nocturne again and hear the Ballad of Shadow the Ever-Changing after all. Ahhhh, I loved that! Would you mind at all if I took a snippet to put in Cam's bio? As they did so none of them managed to notice a small purple-and-green shape land in a tree behind them, scribbling furiously on a notepad. What made them finally notice that they were being watched was the sound of strings being plucked and a soft voice sounding out words and sentences in time with the music, followed by a sigh of exasperation. It also startled the figure in the tree, huddling up to themselves momentarily before sheepishly gliding over to greet the group and revealing themselves to be a Nocturne garbed in the clothes befitting a bard or musician. “Ah, hello there. Sorry to disturb you.” She bowed low, then assumed a semi-shocked stance akin to the Fae and Wildclaw although her expression lacked any kind of surprise. If nobody else wants to step up for Makani, I can see about finding a place for him. I love the lil' guy, even though I've no idea how he'd fit among the Athenaeum, but hopefully if he doesn't find a permanent home here it'd be possible to find him another one in the future. I'm so glad you enjoyed you guests appearances! I always worry I'm not doing them justice. And yes, by all means! If you see anything I've written for your guests that you particularly like then do use it for your own bios and RP I really am flattered that you like it enough to ask. New dragon hype! But! I have a problem. I not only have two eggs but Tarn has ever so kindly donated to me a dragon with a short but interesting note in his bio along with a set of armour for him. So I leave it to you guys to vote! Would you like to see the Wind egg hatch? Would you like to see the Plague egg hatch? Or would you like the mute Whisper to join? Unless it's too soon for Matar? Maybe Whisper could join first to give her room to grief. .argh hard to decide. .but thinking on grief I think I change my vote to Whisper. edit for another side note - if it´s not against the rules I can lvl Whisper up to lvl 7 in no time... making him a more comfortable match for your coliteam? I have a sneaking suspicion people are getting annoyed with me asking for advice all the time. I'm sorry if that's the case. Thank you Tarn but yes, that would be against the rules. Once again the entire point of the Nuzlocke side is for the dragon to level and survive as long as possible. I had a good long think about it and decided that gifted dragons take prio over eggs, gifted or found. This was mostly decided by the fact that if I were to be gifted a Guardian hatchling (following the "born into the clan" rule) it wouldn't be fair to potentially hold it up for most of the 2 months before it leaves on its Search. I am also going to add a new rule as getting level 1 dragons to throw in with high-level teams is brutal. Dragons level 5 and below that are rolled for the coliseum team have access to Easymode rules or else be exempt from dying until they can hold their own in battle. If similar level dragons are available, pair with them instead. In short, Whisper has joined the clan! Adding to the stockpile. And yes I did see the message about getting Python for me and that would be amazing if you could~ I'm finding it difficult to get funds up even with two non-RP breeding pairs for exalt fodder. In the meantime can I please have a clear list of people offering to take Makani in? I saw a couple at least but I'm in no mood to go digging right now. It was Kirrandria who claimed him. Sorry i misread two of the posts. <raises hand> I just expanded like, four times, so I have room for him if he needs it! If nobody else wants him, that is.